The key to maximizing your membership with the ADP, regardless of the size of your business, is connecting. 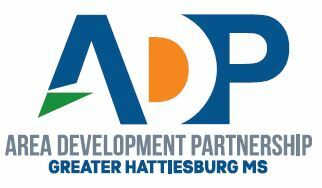 ADP members are offered the best networking opportunities in Greater Hattiesburg through a variety of events, designed to help you learn, grow, and connect. We encourage members and member businesses to take advantage of these opportunities through event attendance and sponsorships. Accelerate, formerly known as First Friday, is designed to connect our members and drive business. Accelerate will take place on the First Friday of every month at Southern Oaks House & Gardens, unless stated otherwise. Accelerate is exclusive to ADP members and provides an opportunity to hear updates pertaining to regional and statewide issues affecting the business community. Business After Hours are all about business to business connections. Held at various ADP member locations, host businesses have an opportunity to showcase their business to approximately 150 ADP-member representatives. Attendees enjoy food, beverages, networking, and fun. Business After Hours is held throughout the year on Thursday evenings from 5:30 – 7:00 pm. Rise Up Professional Development Series is a program designed to help young professionals and mid-level managers advance in their career. Dynamic speakers provide valuable insight on various topics in an open-forum setting. Previous topics include: Overcoming Adversity, Brand Development And Implementation, The Art of the Deal, Transitioning from Manager to Leader, Building Strategic Partnerships, and more. The Rise Up Series is held twice throughout the year. Purchase tickets for individual sessions or the full series on the Calendar Page. The Legislative Forum gives ADP members the opportunity to hear directly from local legislators about issues impacting Greater Hattiesburg. During this event, Senators and Representatives from Forrest, Lamar, and Perry Counties have a panel discussion at the beginning and ending of the session in Jackson. Questions from the audience are fielded by the moderator, and legislators often stay after for one-on-one time with attendees. The Legislative Forum is held annually in January and March. July marks the ADP’s annually celebrated Membership Appreciation Week. Staff, Ambassadors, and Volunteers will hand-deliver ADP Membership Directories to each of our 850+ members throughout the week, and various events are held to celebrate the businesses and individuals that make the ADP successful. A Membership Appreciation Luncheon, held at Southern Oaks House and Gardens, includes a fantastic speaker, awards, gifts, and fun. Members are our focus as we recognize those individuals and businesses who have gone above and beyond in their support of the ADP and the Community. Membership Appreciation Week is held the second week in July. The Annual ADP Corporate Golf Challenge is a unique opportunity for ADP members to connect with fellow business leaders in a fun, competitive environment. This four-man scramble is one of the area’s most laid-back tournaments, focusing more on perfecting your business game than your golf game. Sponsors provide giveaways, games, and food throughout the course and top teams are awarded prizes. The Corporate Golf Challenge is held annually in September and includes both morning and afternoon flights. The Area Development Partnership’s Annual Meeting is the most anticipated member event of the year. Attendees enjoy lunch, awards presentations, ADP Board nominations, and a fantastic keynote speaker. Previously featured speakers include Governor Phil Bryant, best-selling author and speaker, Jon Gordon and best-selling author and speaker Bob Beaudine. The Small Business Leadership Award was established by William Carey University and the Area Development Partnership in 1990 to recognize the important contributions small businesses make to the economic, social, and cultural life of the community and the particular achievements of one individual or family. The award is given in memory of Dr. Joe Roberts, former professor of communication at William Carey University. Dr. Roberts was also a successful businessman and one of the founders of Aycock-Roberts Furniture. Deadline to nominate: March 15, 2019.